Welcome to the October edition of the Inclusive Growth Bulletin, the newsletter produced by the International Policy Centre for Inclusive Growth (IPC-IG). This issue features must-read publications, including a new Working Paper on Zimbabwe’s social protection system and new entries in the ongoing series of One Pagers focusing on non-contributory social protection programmes in countries of the Middle East and North Africa (MENA) region—this month featuring Palestine and Sudan. Finally, we are glad to share the Annual Report of socialprotection.org, the collaborative online platform dedicated to the cutting edge of social protection worldwide, which is hosted and managed by the IPC-IG. We hope you enjoy your reading and feel free to invite your colleagues to subscribe to the Bulletin. 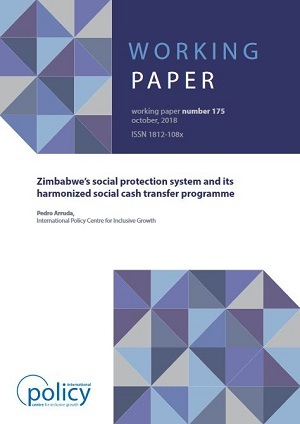 In the Working Paper “Zimbabwe’s social protection system and its harmonized social cash transfer programme”, Pedro Arruda (IPC-IG) assesses Zimbabwe’s flagship unconditional cash transfer, the Harmonized Social Cash Transfer (HSCT), analysing relevant policy-level features of the country’s social protection system. The HSCT was created to address vulnerabilities through an inclusive set of targets to reach out to food-poor and labour-constrained households with high dependency ratios: known proxies for households living with and affected by HIV. This study is available in English, and a companion One Pager is available in English and Portuguese. Previously released One Pagers in this series include: Algeria; Bahrain; Djibouti; Egypt; Iran; Iraq; Jordan; Kuwait, Lebanon, Libya, Morocco, Oman, Qatar and Saudi Arabia. Find them all here, sorted by language: Arabic, English, French and Portuguese. We are also proud to present socialprotection.org's 2018 Annual Report, which showcases the achievements of the platform over the past year, highlighting the collaborative progress achieved by the team, its partners, members and funders. Launched on 12 September 2015, socialprotection.org is facilitated by the Department of Foreign Affairs and Trade (DFAT) of Australia and Deutsche Gesellschaft für Internationale Zusammenarbeit (GIZ) GmbH, on behalf of the German Federal Ministry of Economic Development and Cooperation (BMZ). It is supported by the United Nations Development Working Group of the G20 and the Social Protection Inter-Agency Cooperation Board (SPIAC-B). The platform is developed and hosted by the IPC-IG. Read more about its third anniversary here. We would like to take this opportunity and invite you to click here and register for the platform and its vibrant social protection community for free. New translations are available for the One Pager series: “Social Protection Systems in Latin America and the Caribbean”, prepared in partnership with the Economic Commission for Latin America and the Caribbean (ECLAC)". The One Pagers featuring Argentina, Ecuador and Uruguay are now available in Arabic. They were previously released in English and in Spanish. The IPC-IG joined the conference Addressing Inclusion Among Children & Adolescents Living in Poverty: Progress Toward Achieving the Sustainable Development Goals (SDGs), jointly organised by the New School, Comparative Research Programme on Poverty (CROP), UNICEF and SOS Children's Villages International. It was held in New York, from 11 to 12 October. IPC-IG Researcher Anna Carolina Machado delivered a presentation on “Non-contributory Social Protection Programmes in the Middle East and North Africa (MENA) Region Through a Child and Equity Lens", showcasing the findings of the eponymous study she co-authored with Charlotte Bilo, Fábio Veras Soares and Rafael Guerreiro Osorio (IPC-IG). This report was produced in partnership with the UNICEF Middle East and North Africa Regional Office (MENARO). Read more here. Raquel Tebaldi, IPC-IG Researcher and co-editor of the "Women at work: addressing the gaps” issue of the Centre’s flagship Policy in Focus magazine, together with Carolina Robino (International Development Research Centre—IDRC), presented an overview of this special issue during the forum: Work and economic empowerment of women: How do we advance? on 4 October, in Santiago. Co-organised by Espacio Publico and IDRC, the event marked the launch of the Spanish version of the issue (Las mujeres en el trabajo: abordar las desigualdades). The launch was followed by a round table debate with representatives from academia, private, and public sectors. On October 24, our colleague and IPC-IG researcher Charlotte Bilo will join the Third Meeting of the Multi-Stakeholder Partnership for Social Protection Systems and Floors (SDG 1.3), organised by the International Labour Organization (ILO), in Geneva. Soon after, on 31 October, she will participate in the workshop: Women and Gender Equality (IANWGE): Making social protection, public services and infrastructure work for women and girls, organised by the DAC Network on Gender Equality (GENDERNET) and the UN Inter-Agency Network, at the OECD headquarters in Paris. She will participate as a member of the SPIAC-B Gender Group, of which the IPC-IG is also part. Our colleague and IPC-IG Senior Project Officer Mariana Balboni joined the International Week on Social Protection: Leaving No One Behind, organised by the Mexican Ministry of Social Development (SEDESOL) and the German Development Corporation for International Cooperation (GIZ) on behalf of the Federal Ministry for Economic Cooperation and Development (BMZ), in Mexico City, from 1 to 5 October 2018. On 2 October, she delivered a presentation titled “Social-protection.org overview: what does the platform offer?" showcasing the platform and also the online community features that are being prepared for the Global Alliances for Social Protection project. The platform will be the main online tool for collaborative work and knowledge exchange among the countries involved in the project. On 4 October, Ms. Balboni moderated the round table: Population in extreme poverty: Elderly, persons with disabilities and the youth. IPC-IG Senior Research Coordinator Diana Sawyer was the keynote speaker at the opening conference of the 40th anniversary of the Brazilian Association of Population Studies (ABEP), addressing the themes of population and related policies, held during the XXI National Meeting of Population Studies, in the city of Poços de Caldas, Minas Gerais, on 24 September 2018. 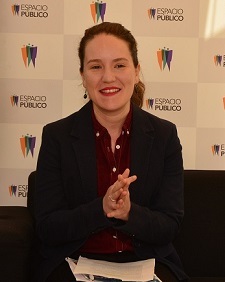 On the following day, she was a speaker at the population studies round table: Regional mortality estimates in Brazil: a new demographic surprise or just implausible results? On 26 September, she coordinated the Thematic Session on Demographic Projection And Estimation. In addition, IPC-IG Research Coordinator and Ipea Researcher Sergei Soares moderated the special session: Reflections on the Future of the National Commission of Population and Development (CNPD), on 27 September. We are accepting applications from outstanding students for our 2018 Internship Programme. We are looking for graduate-level students who are passionate about international development and who believe that inclusive growth, the dissemination of knowledge and social development have the power to transform societies. Requirements and information on how to apply are available here. If you know someone who would be interested in joining the programme, help us spread the word.